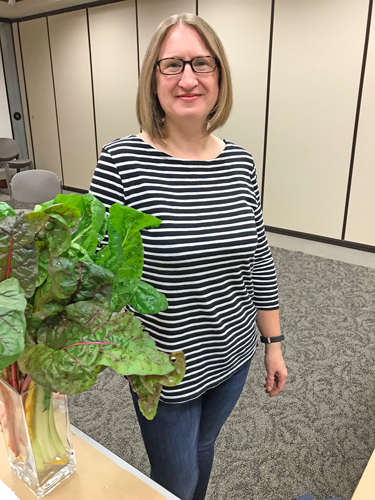 The Edgebrook Community Association and the Edgebrook Branch Library brought you the 2018 Fall Bulb & Seed Exchange on October 6, 2018. 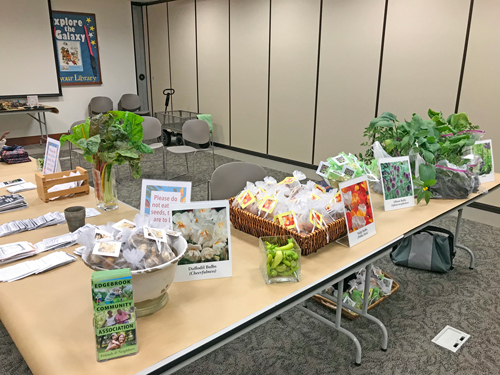 Over fifty attendees benefited from the generosity of our neighbors who contributed plants, bulbs, seeds, garden implements and other wonderful items to share with the gardening community. Neighbor donations at this year's Bulb & Seed Exchange. 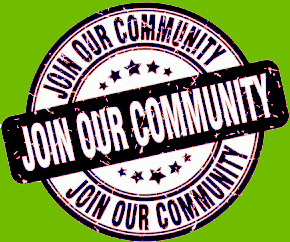 Jeannine Tiesch-Ramirez, the driving force behind the Exchanges. 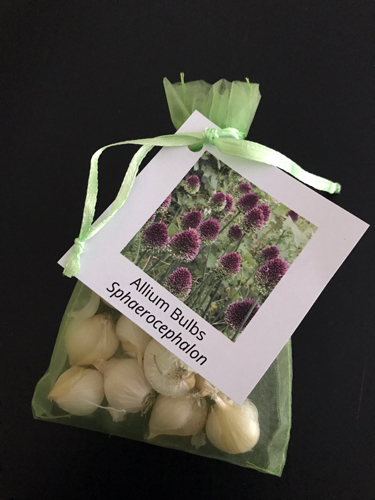 A package of bulbs shared by an Edgebrook neighbor. 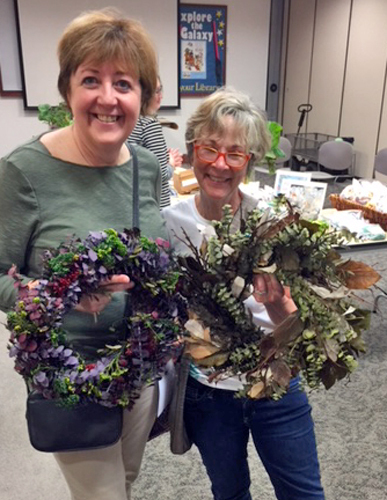 These neighbors went home with some beautiful wreaths. 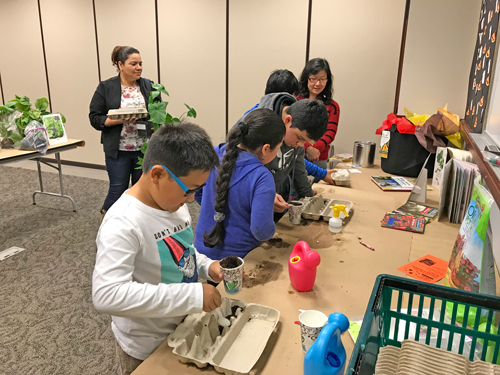 New this year was a program to introduce children to the joys of gardening. The Children's Program was a big success. These future gardeners planted several herbs. 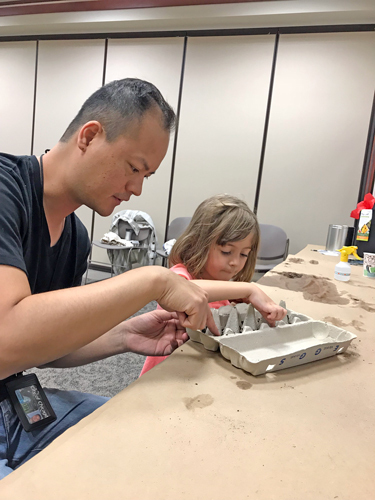 Children's Librarian James Teng with an attentive student.